Photography traditionally is seen as truthful and shows a representation of reality. The very nature of photography means that the camera faithfully records what is in front of the lens. However there are several choices the photographer can make that perhaps distorts this reality. Not all of which necessarily effect the "Truth" or realism of the image. 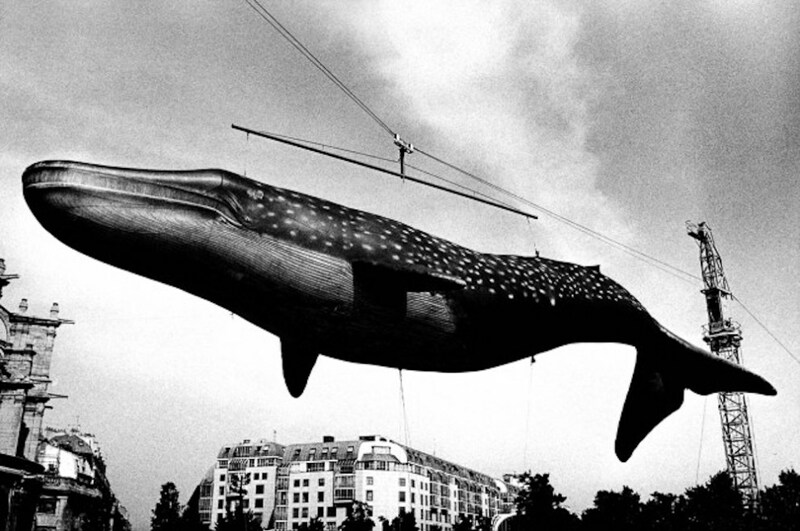 For example the above image by Daido Moriyama shows a Blue Whale being moved in the air to a new enclosure. The photo records the scene in a way that makes the viewer believe what is being shown, because it is a photograph, it is easily to believe what is happening. If one saw a painting of such a scene or a written account it would be easier to believe that the author might embellish the story or maybe add things for dramatic effect. Even in the case of this image, even if we cannot question the content, you can question to a certain degree the reality of the image. For example the scene in front of the lens would not have been Black and White as it appears in the image. Even if the photographer, at this time, may not have had a choice in regards to the film used, it does make you question what else is left out of the scene. In true scientific terms the photograph on capture can only record what is is coming through the lens. This differs from other disciplines such as painting or writing, where things can be added or taken away to suit. These art forms may provide a representation of a scene or situation, but they allow the author to be liberal with the truth. This doesn't mean that a photographer cannot create a representation of reality. The video above shows photojournalists encouraging a group of youngsters to act in a certain way to obtain the shot. What is interesting in this instance is that the image produced could still be said to be real and showing reality because the camera is just recording exactly what is happening in front of the lens. However when questioning whether the image is truthful, is a different matter. This could be said to be a representation of the reality. Fighting had been taking place in this area for a number of weeks, however it was not when the photographers were making these images.